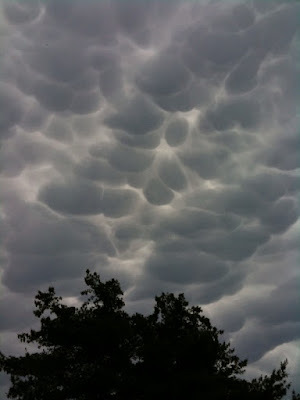 Mammatous clouds. Sometimes seen with storm cells that accompany tornadoes, but not always. Ah! Thanks for the name of the clouds! I had never heard of or seen such a cloud before. Neat! Now that the ominousness has passed, anyway.